Luxury tourism expert Shanoon Khalid has launched Adore Maldives, a brand that features personally selected and carefully reviewed luxury properties in the Maldives. 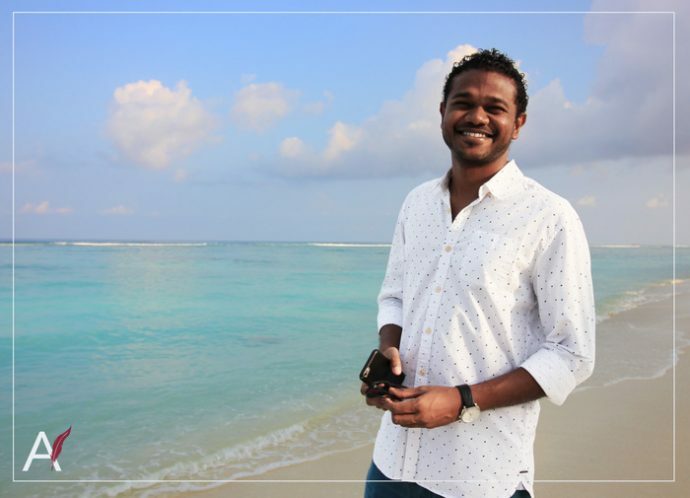 As an essential part of Adore Maldives, Shanoon has also introduced The Maldives Travel Counsellor in order to use his expertise to provide first-hand knowledge of resorts to the most demanding travellers. “I wanted to create a brand for discerning travellers to tailor their Maldives experience by understanding ‘every detail’ of their request,” Shanoon, who has spent 14 years working with some of the most luxurious resorts in the Maldives such as Baros Maldives and Milaidhoo Island Maldives, said. The Maldives Travel Counsellor is more than just another travel agent. The concept is created to deliver the most personalised and prompt service by recommending selected luxury resorts, which answer perfectly the needs and expectations of individual travellers. The company is based in the Maldives, as it is essential for The Maldives Travel Counsellor to be on the ground and up-to-date with the latest developments and inventions of the resorts. Where is my water villa located? How is the marine life at the house reef? What is the latest creation of the island’s chef or what about the new resort openings? – there are no secrets to The Maldives Travel Counsellor. “I missed the service of a local agency who is able to think and act globally. We focus our actions in the luxury traveller, understanding their need from Mississippi to Osaka,” Shanoon said. Why do you need the Maldives Travel Counsellor? The Maldives Travel Counsellor is on the ground and know what’s worth and what’s coming. Every resort featured on Adore Maldives, which operates on the belief that ‘less is more’, is chosen from personal experience and its unique selling points give a first overview to interested travellers. The team at Adore Maldives believes that every island has its own tale and that it is time to give them a voice.